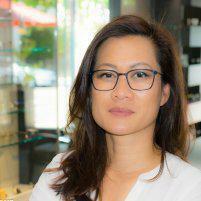 Eyes on Hartz Optometry is known for having the biggest selection of boutique eyewear in Danville, California. The practice helps men and women correct their vision, all while making a fashion statement. See which set of new frames are best for you by scheduling a consultation. Book your eye appointment by requesting an appointment online, or by calling the office. Boutique eyewear is designed to last for years and frames can accommodate a variety of prescription lenses. Which boutique eyewear brands are available? Eyes on Hartz Optometry is one of the only optical clinics in Danville to offer the exclusive Illesteva handmade Italian sunglasses, too. The team is constantly adding new designers and new lines to their stock, so you always have access to the latest boutique frames. They can even special order designer frames if you can’t find what you’re looking for in the office. Will my prescription lenses fit in boutique eyewear frames? One of the biggest concerns men and women face when shopping for boutique eyewear is that they don’t think their strong prescription lenses are going to fit into fashionable designer frames. Eyes on Hartz Optometry offers several types of state-of-the-art lenses, including polycarbonate and trivex lenses, that are ultrathin and designed to fit into all types of frames. You may even be able to put polarized, blue light reduction, or photochromic (transition) lenses in your designer frames. If needed, your optometrist can also work with you to create progressive bifocal or trifocal lenses that are going to fit seamlessly into your beautiful new frames. Schedule a consultation at Eyes on Hartz Optometry to get your custom boutique eyewear today. Book your appointment online or over the phone.